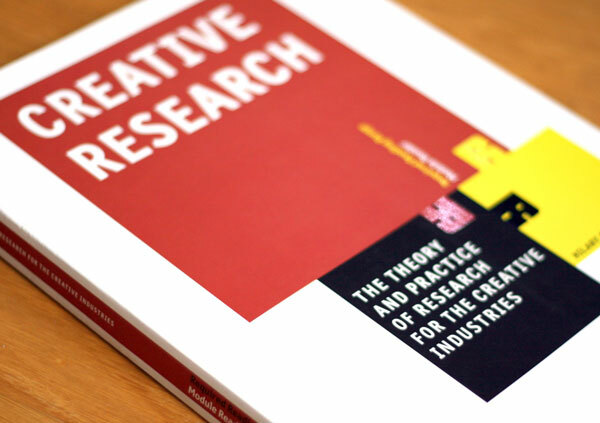 I recently contributed to a new book by Dr Hilary Collins on Creative Research theory and practice for Masters and PhD students, researcher’s and practitioners, specific for those within the creative industries. Contributions were for Managing the Research Process chapter, literature reviews and ethnographic visual research methods. Creative Research provides students with the knowledge and skills required to conduct effective research projects in creative disciplines and industries. In creative contexts, a visual approach to research is often more appropriate, but this must be underpinned with systematic and rigorous techniques. The book assesses how academic research methodologies must be adapted to suit the creative disciplines and industries and offers a guide to the process of undertaking a research project in this context. Introduces students to the practice of effective research within design management. Offers a clear, step-by-step guide to undertaking a research project. Guidelines will help students determine which kind of researcher they are and how the use of different philosophical perspectives will influence their research. Accompanied by illustrative examples taken from contemporary work. These titles are designed to support specialized modules of degree courses and provide a platform for further exploration of the subject matter. This title represents a comprehensive introduction to a key area of design management. It is an ideal core text for an undergraduate degree, and will prove useful at any academic level. Hilary Collins is Director of Postgraduate Studies at EUROMED Management, Toulon, France. She has extensive experience of teaching research methods and supervising dissertations at undergraduate and postgraduate level within design management and the creative industries. Hilary’s recent research projects have included investigating the influences of multiple cultures on identity across the East and West and the implications for the field of design management.